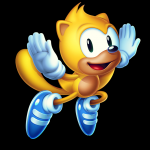 UPDATE (16:30) – Screenshots from SEGA Press have now been added. 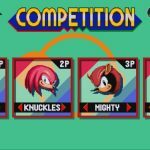 A new trailer for Sonic Mania’s upcoming Plus edition has been released, giving us our first look at new characters Mighty and Ray in action – as well as a July 17th release date. 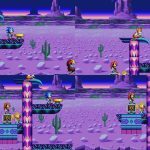 The trailer also shows some new animation in the style of previous trailers, as well as a glimpse at the game’s new “Encore Mode”. 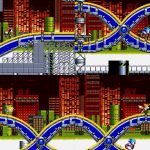 At a glance, this appears to rework the colour schemes of the levels; it’s not yet clear if it does anything else, though previews from Famitsu have indicated there may be more to the mode – including what appears to be Angel Island becoming playable. The trailer theme is a remix of the previous pre-order trailer song, “Time Trials” by Hyper Potions, though now with a helping of guitar from none other than Jun Senoue! 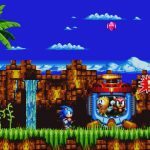 Sonic Mania Plus will launch physically on July 17th for PS4, Xbox One, and Nintendo Switch. 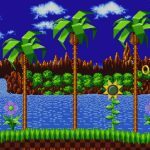 For owners of the original (and the PC version), a paid DLC update will be available. 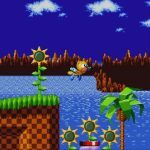 Sonic Mania is getting an enhanced physical release called Sonic Mania Plus. 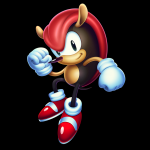 This new version adds Mighty the Armadillo and Ray the Flying Squirrel as playable characters. 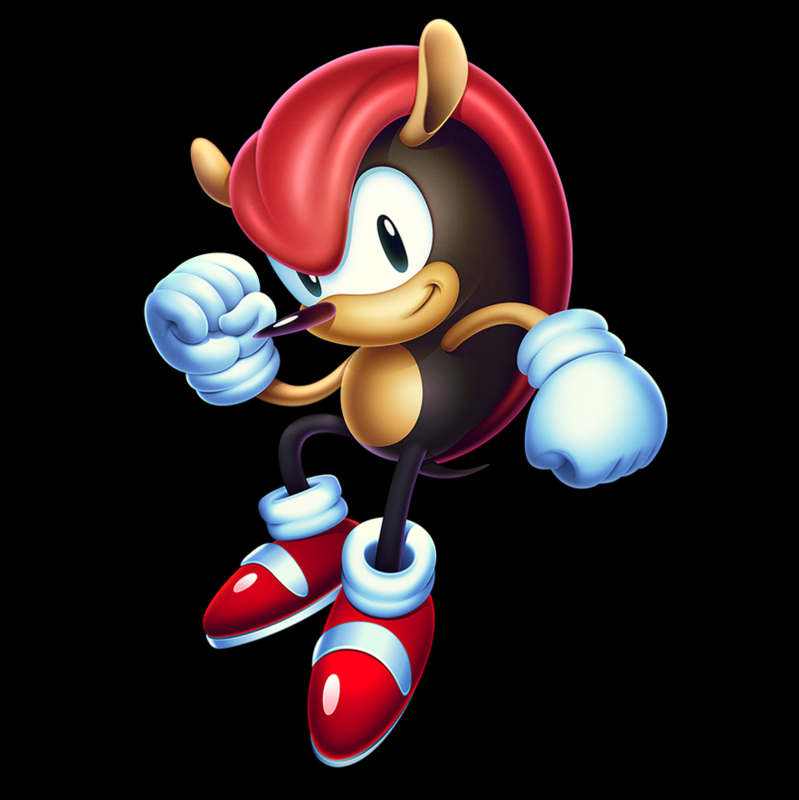 Mighty hasn’t been playable in a Sonic game since 1995’s Knuckles’ Chaotix and Ray hasn’t been playable since his one and only appearance in the Japan exclusive arcade title SEGASonic the Hedgehog which was released back in 1993. 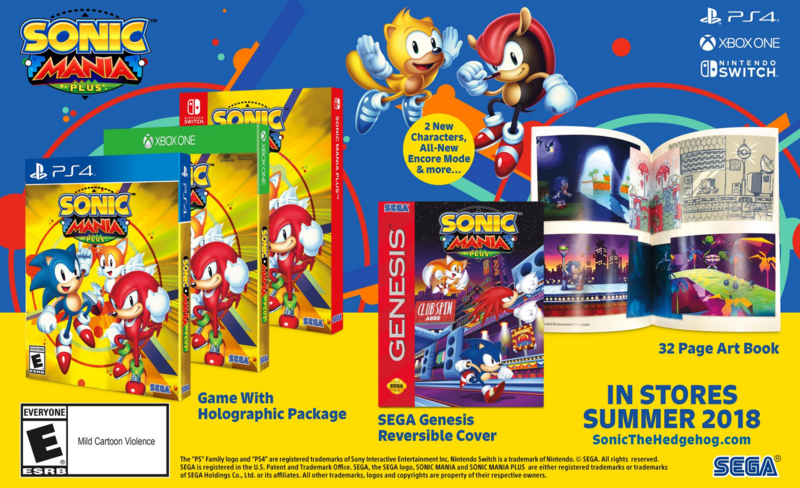 This new package also includes something called Encore Mode, a new 4 player competition mode as well as a 32 page art book, a reversible cover featuring a faux-Mega Drive/Genesis look and holographic packaging. That’s quite a substantial upgrade over the previously digital-only release. 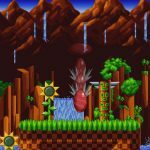 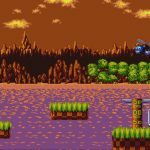 Sonic Mania Plus will release for PS4, Xbox One and Nintendo Switch this summer.